Real estate investment is hot in Arizona – and we don’t just mean real estate in Phoenix. Over the last few years, residential and commercial real estate markets throughout Arizona have offered incredible opportunities to investors of all sizes. That includes real estate in Scottsdale, Tucson, and much more. Plus, the signs are looking good in 2018. Let’s look at some smart ways Arizona real estate investors are maximizing their ROI. Appreciation has traditionally been one of the biggest draws for real estate investment. 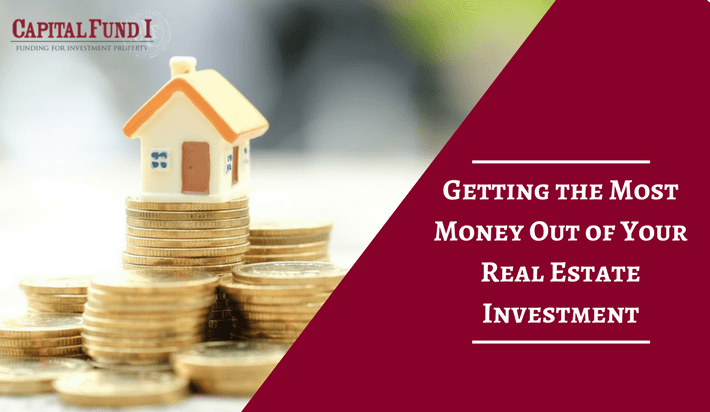 You can see appreciation in action every day as savvy investors use capital to “fix and flip” properties that might not even appear desirable at first glance. Investors who hold properties through real estate downturns are often rewarded with gains that eclipse their original earnings, too. Inflation – the same power that drives down the real value of wages and other earnings – can work to the real estate investor’s advantage. When inflation becomes noticeable, the price of real estate tends to adjust upward. This translates to fewer would-be buyers, but more serious ones. Just as importantly, it leads to greater revenue when you decide to sell. “Fix and flip” sometimes takes only a few weeks, but it’s not the only way to profit in Arizona real estate. Many investors choose to hold on to properties for long periods of time to secure rent from reliable tenants. In addition to residential properties, commercial structures and office space provide diverse roads toward a resilient and vibrant real estate portfolio. Once the groundwork has been laid, long-term rentals can practically run themselves – yielding steady, reliable income each month. When buying a property, ensure it has a strong foundation and excellent electrical and sewage systems. This takes the most significant problems off the table: From there, rent collection can be automated, and costs managed down over time. Commercial tenants represent some of the most lucrative opportunities in real estate. This is particularly true for industrial tenants in manufacturing, logistics, and related industries. Their operations rely on the dimensions and layout of a particular building, so they are much less likely to move out. Of course, you can also buy commercial property for your own business! No matter what your Arizona real estate goals may be, Capital Fund 1 is here for you. We are a trusted, hard money lender known for our buy and hold loans. To get started, just complete our simple hard money loan application. We look forward to working with you very soon!